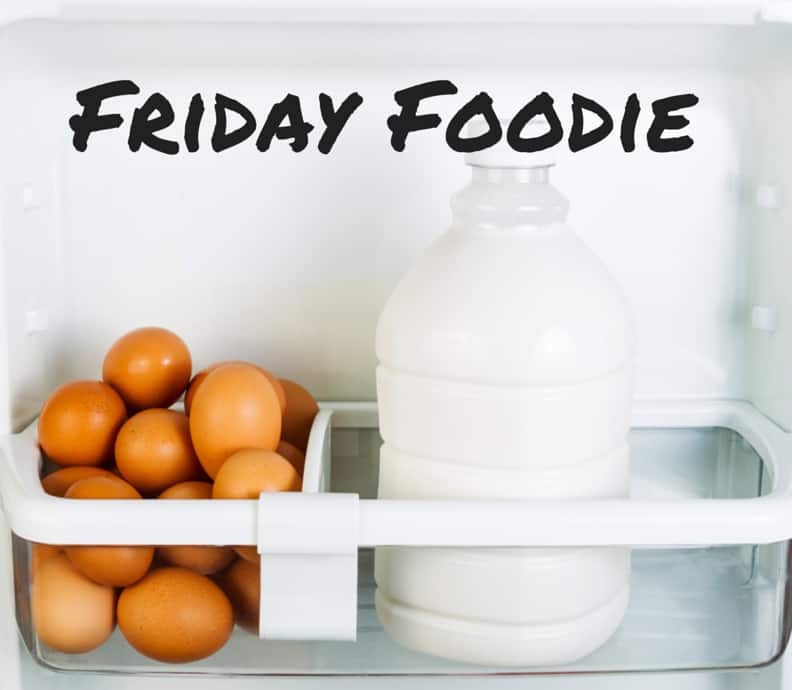 There are so many types of food bloggers out there – from professional cooks to home chefs to very creative moms who just love to share the meals they make for their families with others. Caroline of Caroline’s Cooking is somewhere in between. One thing for sure, she cooks with love and creates wonderful dishes for her family, made with local, seasonal products that she finds in the New England area. Being a native Scot you can find great recipes from her homeland (which I am sure will pique Christina’s interest!) as well. She has been cooking from an early age and masters curry and decadent soups (I am gearing up to try her carrot, sweet potato and mushroom soup). Pretty much always, I remember helping my mum cook at a very early age and by the time I was a girl guide (girl scout) in my teens, I was making a three course Indian meal for one of the badges, not to mention all the cooking on camps etc. Since moving to Cambridge, MA, I have sort of been looking for my old profession’s work but hadn’t had any luck plus have enjoyed spending time with my toddler son as well. The blogging came out of conversations with friends as we were talking about some of the things I had been making and it seemed a perfect fit. I had been thinking about it a while, but the encouragement helped spark me to action! There are too many things…but given my son is addicted to homemade gnocchi, that would have to in there, plus I recently made moussaka again after not having made it a while and while it takes a while it is really worth it. I love all kinds of foods, from a great curry (I miss some of the places we used to go to in London! ), to seafood and tapas. It doesn’t have to be complicated, if the ingredients are good. 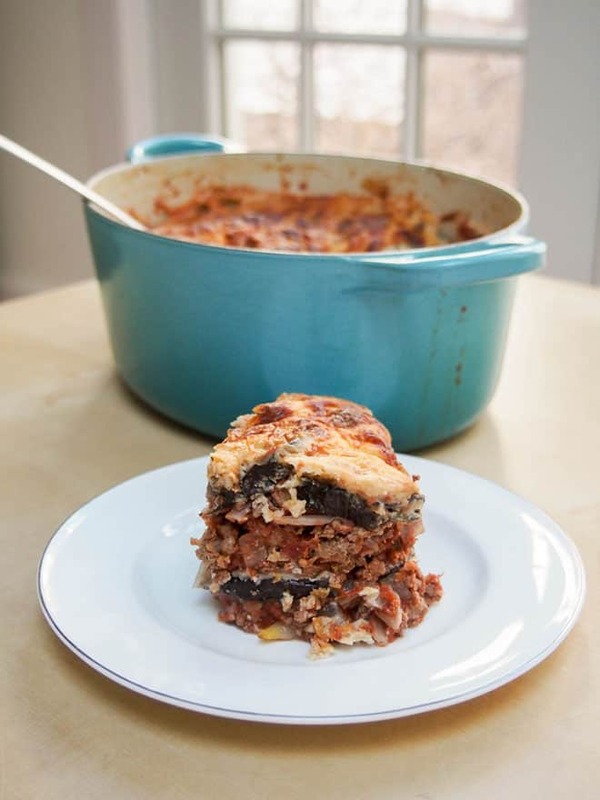 Maybe because it’s on my mind, but it might have to be homemade moussaka, that yummy bechemel mixing in with the tomatoey mince and eggplant. That and fruit, oddly. It would probably have to start with the lobster eggs benedict that I recently made, maybe some good clam chowder and a lobster roll for lunch (given where I am) or else tapas, then one of my favorite special but easy dinners to make is peppered fillet steak with sweet potato fritters, goats cheese and arugula. I suspect a lot of people say this but Smitten Kitchen has to be one, it is probably the first true blog I ever read as I wasn’t really aware of them when I lived in the UK. I am starting to find ideas now on a whole range of blogs, but if I had to narrow it down I would say I have found some great ideas on Vegetarian Ventures and 101 cookbooks. I am still pretty new myself, but I would say the best things I have learnt so far are do some homework – a lot of other bloggers have written some great articles suggesting how to get set up and things that have worked for them (Cookie and Kate has a great post on setting up), and then both put time in to making quality content and working social media to get it out there. And make sure you connect with your readers, you want to keep them! Keep up with Caroline’s tasty tidbits on Twitter, Facebook, Google+ and Pinterest and of course by visiting Caroline’s Cooking. How about you? What would you like to ask Caroline? @Carol, Smitten Kitchen is a really great blog and such an inspiration to others! Thanks so much for your kind words, Carol – it’s a shame we can’ t taste foods through the internet, isn’t it?! Yes Smitten is great for ideas and I love the style. I was fearful of photos of haggis, but all of this looks yummy! @Tam, it does have a bad reputation doesn’t it?! Tam, I did do a variation on haggis, if you can dare to take a look – it really is much better than the reputation! But I love all foods, and glad you like the look of them! @Christina, happy to make the Scotch connection! Thanks for stopping by already, Christina, and lovely to come across a fellow Scot with a love of food in this part of the world too! 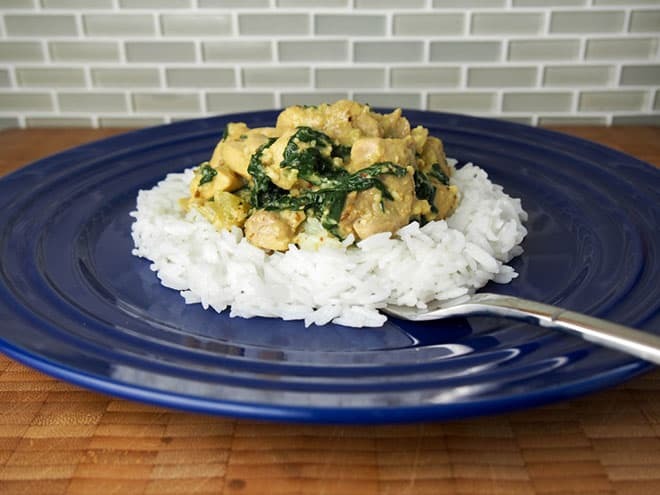 I don’t eat eggs, but I am a LOVER of all things curry – thanks for the link to the yummo curry recipes. @Kimba, oh curry, love it as well! Do you have a favorite type? Thanks for your kind words, Kimba, I am hoping to post some more curries soon which I hope you will like! These are some crazy delicious looking meals! @Alyssa, I know, hard to resist! That’s so kind to say, Kimba, I hope you manage to try some and enjoy them! @Chelsie, my pleasure, glad you enjoyed it. Thanks for your kind words, Chelsie, I hope you manage to try some of the recipes and enjoy them! Yum. These all look so great! I’m excited to read through her blog. Thank you for sharing! @Heather, I am sure Caroline will appreciate that! Hope you find something that makes you drool! Thanks, Heather, I hope you come by and can enjoy some of my recipes! Beautiful food that tastes good made by thin, beautiful people. This is why I blog about whatever it is I blog about! Being from Scotch-Irish descent, I read with great curiosity the Haggis post on your blog. @Jen, you blog about your fascinating life in a very under-appreciated part of the world! Yes, haggis is one of those things that has a reputation! I hope you found the post interesting and glad you like the look of my dishes. Everything looks and sounds so good, yum! 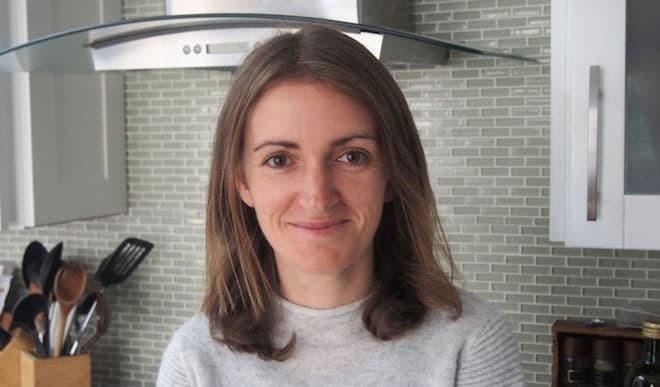 I love to cook, looking forward to looking through your site, Caroline. @Doreen, I hope some of Caroline’s recipes inspire you in your own cooking! Thanks Doreen, that’s very kind. I hope you manage to have a look through then try some of my recipes and enjoy them. Great post! I love the diversity of food bloggers and finding new ones is the icing on the cake! @Kristine, thanks it is fun to find new bloggers from the four corners of the world. Kristine, I agree, it’s great coming across new bloggers! Thanks, Shannon, we do love gnocchi in our house! I am drooling now, these all look so good! @Caroline, the danger of interviewing food bloggers! Thanks, Caroline, that’s very kind! I hope you manage to try some of them and enjoy! What a great interview. 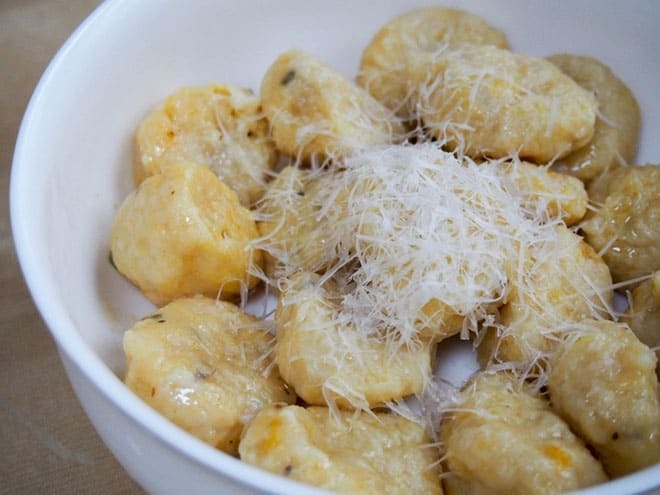 I’m going to have to follow her now because those photos are mouthwatering – especially the gnocchi! @Lois, I hope you do, her dishes are quick and easy for a busy lady like yourself! Thanks, Lois, that’s very kind. I would love if you followed along and enjoy some of what you see! Wow all those dishes look great! I’m pinning and will follow her for sure:-). Would love to see some Scottish dishes too! @Angie, so glad you liked them, her food does look delicious! Thanks, Angie, that’s very kind. I have a couple Scottish recipes on the blog but sure I will add more over time so do please follow along! I am really impressed with the variety in Caroline’s repertoire: curry to Greek to comfort food! I’ll have to start reading her blog. @MD, I know, a little bit of traveling can open up your cooking experiences as well! Thanks for your kind words, MD, I am lucky enough to have lived and travelled a few places which helps! I hope you manage to stop by. Yum this all looks so great! Love learning of new bloggers with recipes to share! @Jeanine, me too! So much better than searching out recipes on Google! Thanks, Jeanine, I love coming across new bloggers too and am so grateful of Andi’s feature. Caroline sounds like a fantastic cook. I would love to have the time to cook the wonderful foods she shared. Thanks, Beth, there are a few quick recipes in there and others with suggestions on how to break them up and make them easier so hopefully you might manage to try one and enjoy! 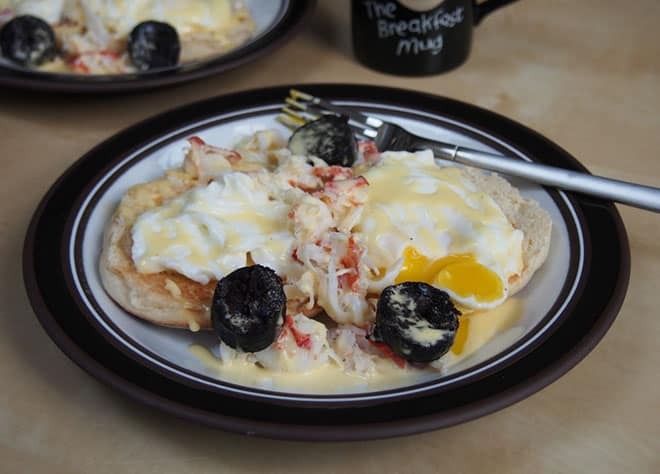 lobster eggs Benedict sounds amazing!!! Thanks, Donna, it is pretty special! It’s always good when slightly crazy ideas work out! ACORN SQUASH GNOCCHI is the greatest dish I’ve seen this week! The gnocchi looks amazing!!! I love finding new food bloggers to follow. Thanks for sharing!! Thanks, Chrissy, I hope you find some recipes you enjoy. We all love the gnocchi here! Nice to meet you Caroline. What great looking food. Thanks, Karissa, I hope you manage to try some of the recipes! Lobster benedict sounds SO good! I love a good food blogger- I’m excited to read more! @Chelly, lobster anything is a star in my book! Nice to read about a fellow Londoner! Sounds like she’s been cooking for years. That lobster breakfast sounds incredibly decadent! @Katie, who doesn’t love lobster in the morning! Lovely food! I am trying to Cook more often! @Ashley, good for you. It is so easy to buy take-out or microwave something, better and healtier and cheaper to cook, but sometimes its hard! OMG! Homemade gnocchi! I have always wanted to make that….great interview! @Brenda, and I didn’t realize it was so easy to make, could be kind of dangerous! Do you want to come to my house and cook for me ? That’s some great sounding, looking food !! Love your recipes !! This sounds so good and I can’t wait to try it !! I also love curries! Thank you for sharing your fave blogs, I will have to check them out.